We provide a wide selection of scenic tours. Downtown Harbourfront, Toronto Island and the CN Tower, charters to Niagara Falls and the Muskokas. Rides also provided at festivals, company picnics and sporting events. See below for a selection of our discover tours and charters. We are also happy to help you with customized charters. Call us toll free at 1-866-361-1100 for more information and pricing. Your experience begins as you board your helicopter and lift off for a thirty minute flight over the most exciting city in Canada. As you soar skyward, you will take in sights such as the CN Tower, Rogers Centre, Ontario Place, The Canadian National Exhibition, Old & New City Halls, Fort York, Port of Toronto and Harbourfront. 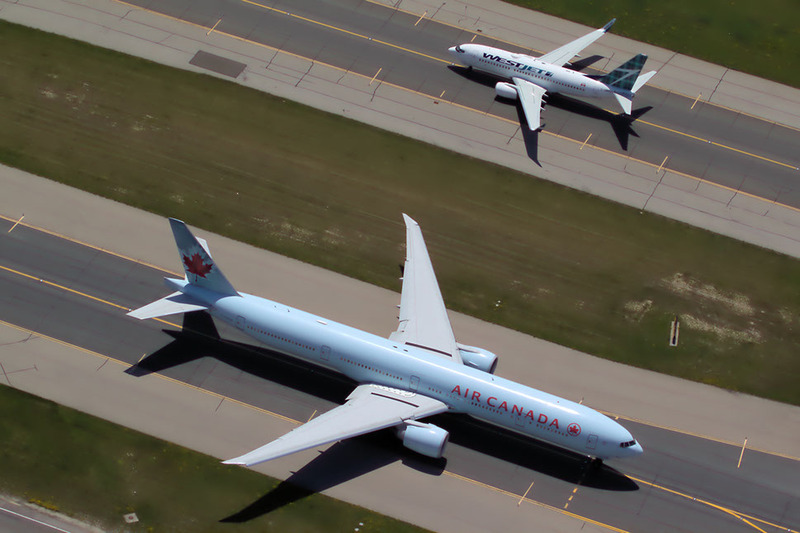 You can't leave Toronto until you've seen it from 1000 feet in the air! depart from our Bolton Heliport. Call toll free 1-866-361-1100 for pricing details. Lifting off from downtown Toronto, passing the CN Tower, Rogers Centre and Air Canada Centre, you and your party will embark on a one-of-a-kind afternoon trip to the world renown Niagara Vineyards. After a breathtaking overflight of the Falls, we land you only paces away from your destination where you will enjoy an exquisite lunch time meal accompanied by wine tasting from Ontario's finest vineyards. Afterward, walk off lunch with a beautiful guided tour to the vineyards themselves. Then it's back to the city in time for dinner at any one of the Toronto's fabulous multi-cultural restaurants! Call toll free 1-866-361-1100 or email helitours@nationalhelicopters.com for pricing details on other charter rates from Toronto. For all tours and packages in the Niagara area please call toll free 1-800-491-3117 or email niagaratours@nationalhelicopters.com. 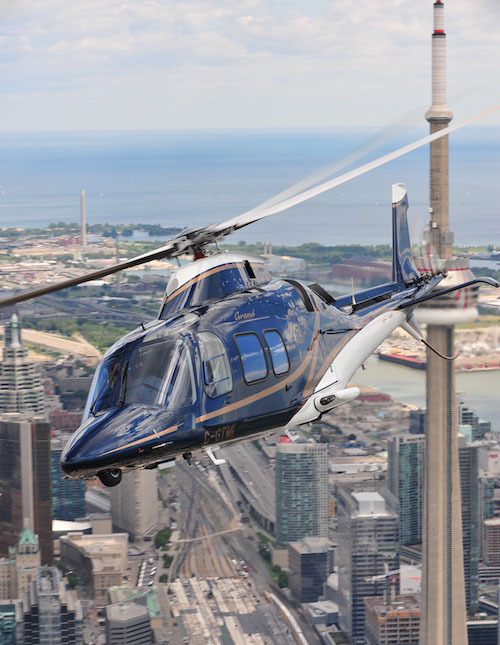 National Helicopters has been providing executive transportation for the greater Toronto area for over 26 years. Whether it's shuttling clients between airports, scouting new business locations by air or simply avoiding congested rush hour traffic, our experienced pilots will ensure fast courteous service. National Helicopters offers many helicopter types to choose from including four passenger Bell JetRangers, six passenger Bell LongRangers, Twin Engine Agusta 109 Grand and Bell 430. Click here to see our fleet. Whatever your party's size, we will work together to maximize utilization and minimize costs. Past clients have included sports celebrities, actors, heads of state and government officials along with many corporate executives. National Helicopters works to ensure professional service to fulfill all your transportation needs. Get the best shots from a bird's eye view. We provide aerial photography flights both for professional productions or the photo enthusiast looking to capture stunning pictures from the air. Both our Robinson R22 and Bell 206 helicopters are perfectly suited for the task. Call or e-mail us for more information or to book your photo flight. 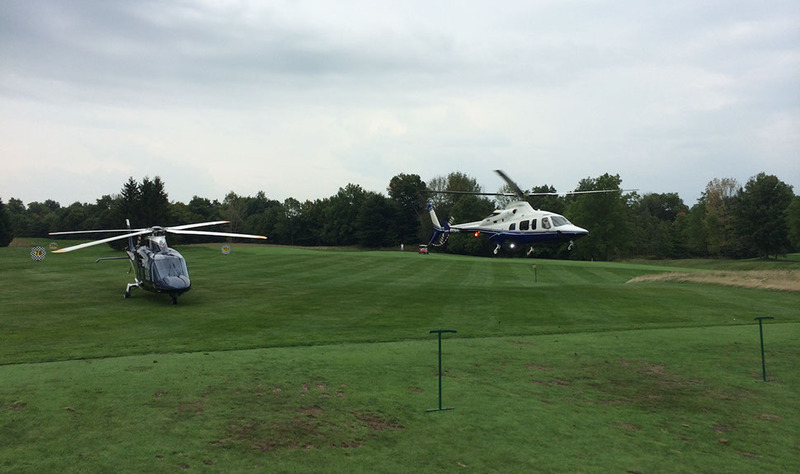 HELI-GOLF - THE MOST EXCLUSIVE WAY TO GOLF! 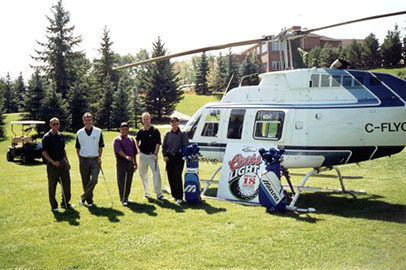 National Helicopters would like to offer you the wildest golf excursion available! Partnering with Ultimate Golf Vacations to guarantee lowest prices, National will fly any number of golfers to any course you wish. 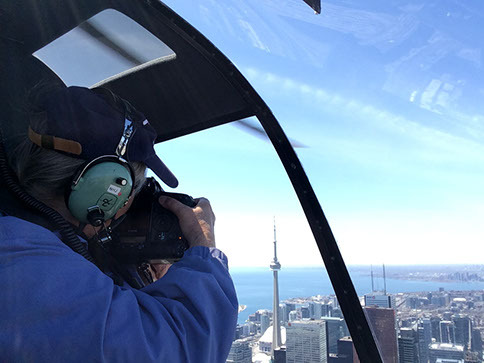 Forget the long drive times from Toronto and just sit, relax and enjoy the view from 1000 feet in the air! Flight times to most courses are under one hour which will give you lots of time to drink that on board coffee! Whether you are entertaining your top clients or just looking for a different way to get to one of Ontario's premier golf courses, this is the only way to go! Our most popular departure locations are the Toronto City Centre Airport, Buttonville Airport and our own Bolton Heliport. Be prepared for one of the most memorable golf days of your life!